Are you interested in being more involved in our business community? 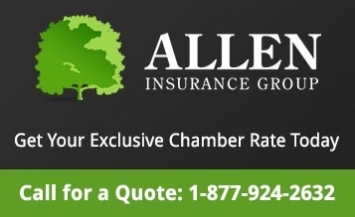 Do you want to help our business community Grow and Prosper? Do you have a passion for Advocacy and Board Governance? Do you have ideas you would like to see put into action? 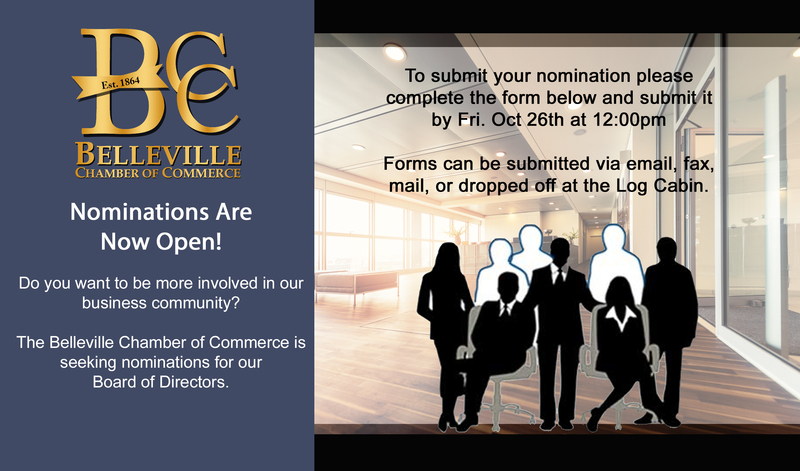 The Belleville Chamber of Commerce is seeking nominations to fill vacancies on the Board of Directors. Board positions are open to all Chamber members in good standing. If you are interested but require additional information please contact Jill Raycroft, Chamber CEO at 613-962-4597 or jill@bellevillechamber.ca. If you would like to submit a nomination, please download and complete the form below and submit by Noon on Friday, October 26th. Forms can be e-mailed, mailed, faxed or dropped off at the Log Cabin. As per our Constitution and By-laws, the Executive shall examine all nominations and prepare a ballot to be submitted to the general membership for election. Nominations may be submitted by any member in good standing provided such nomination is endorsed by another member and the nominee has consented in writing to stand for election.